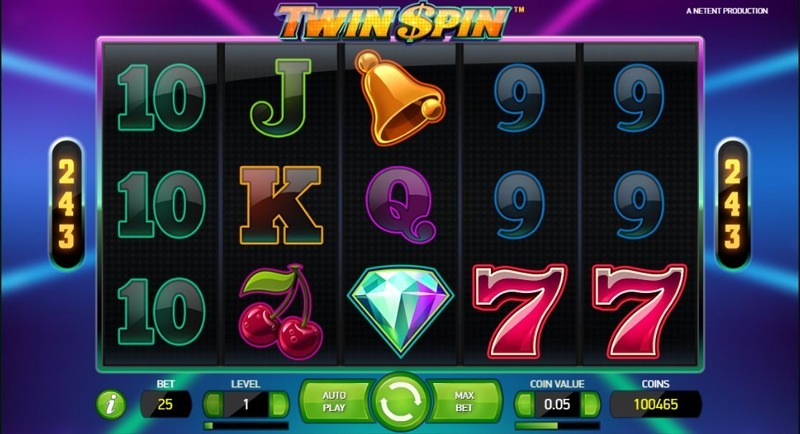 Twin Spin is another of Net Entertainment’s “legendary” video slots, and, first released back in January 2014, it’s dominated the online slots world for the last few years. Due to the popularity of the game, it was one of the first Net Entertainment titles to receive the “HTML5 makeover” (where the software provider did away with outdated Flash games, allowing players on all types of device to play without plugins or downloads), and the new version of Twin Spin – while almost identical in terms of gameplay – contains a few subtle differences to the original. So what’s new? Well, the slide to adjust the games graphical quality has been removed, and graphically, the game’s been ‘sharpened’, with finer, more detailed graphics on offer, both in terms of the games animations (the spinning of the reels), and the look and feel of the background, and symbols. Players on mobile devices can also now enjoy the game, as it’s built using HTML5 technology. This is far superior to the old version (Flash), which was both slow, and prone to errors, and allows for Instant Play of the game, on all devices. While the changes may seem insignificant, it’s worth pointing them out, as many players worry they’re playing an unofficial version at first, when they see common options, like the ability to change the graphical quality. 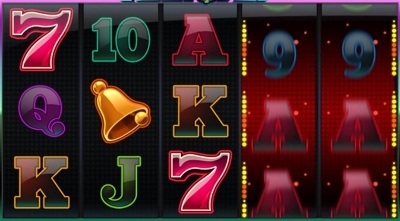 Players were initially mixed on the changes, although today, most have come to accept the changes, and enjoy the fast-paced, exciting action of this unique slot. The game remains bright, vibrant, and fast, and you’ll see a selection of symbols on the reels, including traditional playing card symbols, including 10, J (Jack), Q (Queen), K (King), and A (Ace), alongside the premium symbols, which include Diamonds, Sevens, Bars, and more. The first thing to note, is the 243-ways-to-win structure. You’ll see that we’ve not talked about the number of pay lines included in the game up until now – and that’s because… well, while there are pay lines – it’s not something you’re really going to have to worry about. The 243-ways-to-win design means you simply need to land one symbol on each reel in order to make a winning payline – the position doesn’t matter. For example, (and this isn’t possible in Twin Spin, it’s just an example of how 243-ways-to-win works), if you landed reels one, two, and three full of Ace symbols, you’d be paid out 243 times on whatever 3-of-a-kind Aces paid. 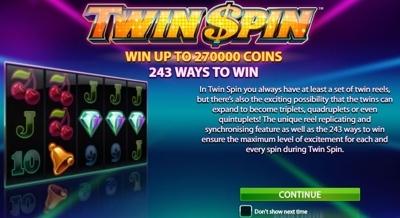 Now, here’s where Twin Spin gets interesting; there’s no bonus-round, or free-spins feature – but every time the reel’s spin, at least two of them will ‘morph together’, meaning they’ll land on identical symbols. For example, imagine reels one, and two morph together – it means that they’d both land with exactly the same symbols showing – and the game can morph three… four… and even five of the reels together. This, combined with the 243-ways-to-win structure means there’s massive chances to win big, and if you’re lucky enough to land a couple of lines of Diamond or Seven symbols across all five reels, you’re in for a huge payday.